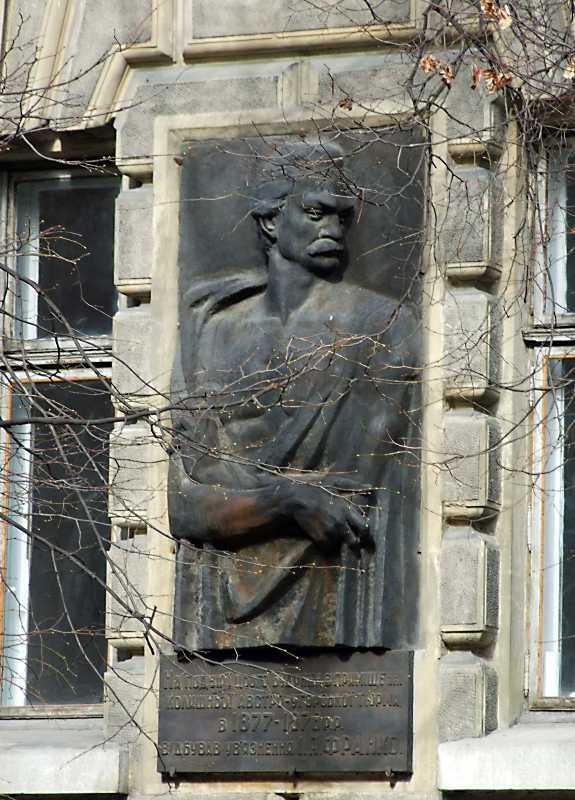 In 1877 – 1878 Ivano Franko on false charges of socialist propaganda was imprisoned in the trial centre, which was in the yard of the Supreme Court (Lviv, Prince Roman str., 1 – 3). About this event informs commemorative plaque on the front of the courthouse. In 1889 the old court house and jail was demolished. Photo by M. I. Zharkikh, April 4, 2012.